The climatic conditions in Dubai are such that vehicles are more susceptible to corrosion and rust than in other parts of the world. When exposed to the extreme temperatures and sandstorms that are prevalent in Dubai, the metal that are used in the body of a vehicle are more prone to Detroit due to the chemical reaction that is caused by exposure to the elements. Generally, an agent that causes oxidation like oxygen is the primary culprit when it comes to such degradation that involves the formation of iron oxides in, on and around the metal material. Rusting causes metal to lose its useful properties like material strength and permeability to liquids and gases. It also has an adverse effect on the appearance of the vehicle. Rust proofing is thus an essential requirement whenever you buy a vehicle to ensure that it is always in good condition. In order to guard against the damage caused by rust, surface treatment or finishing is required. 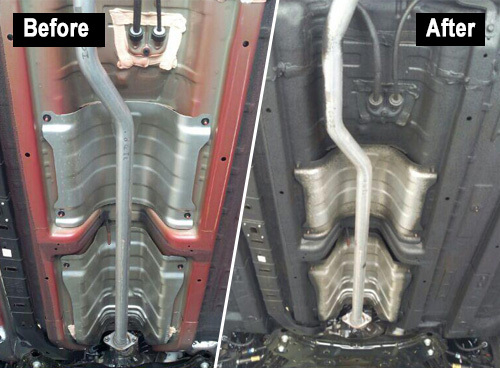 One of the best places to get 3M rust proofing in Dubai is Orange Auto. At Orange Auto in Dubai, we use only reputed brands like 3M for rust proofing services. Rust proofing offers several benefits. The most visible effect is on the appearance of your vehicle as it preserves the fresh and clean appearance of your vehicle’s exterior and this appearance plays a key role in determining the resale price of your vehicle, especially in the case of an older vehicle. 3M rust proofing will also help you to keep the components of your car in fine shape so that your maintenance expenses will be minimal. Getting a rust proofing treatment at Orange Auto in Dubai will prevent corrosion from affecting the key components of your vehicle like the body panels, undercarriage, the electrical wiring and the electrical connections. Hence, this will help minimize the need for expensive electrical repairs. Your car will keep running for a longer time and thus will have a longer lifespan on the roads. It also ramps up your safety as the components will be less prone to wear and tear and you are less likely to have a breakdown. 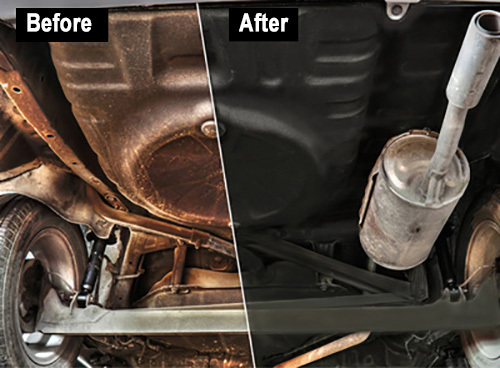 Get in touch with the rustproofing experts at Orange Auto in Dubai to ensure that you will never have to worry about rust in your vehicle again.